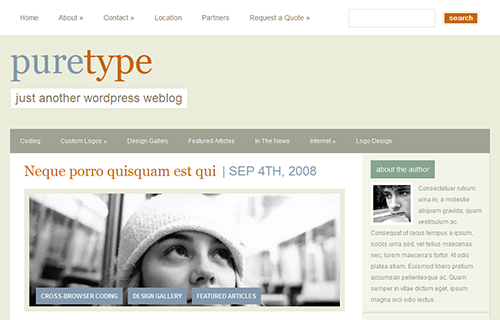 Elegant themes is an amazing option for WordPress designers and developers. The superbly designed graphics & pleasing aesthetics and detail towards the finer aspects of the design makes it a great user experience. Elegant Themes so far has offered a collection of 75 themes; all fairly simple to use and easy to implement. We are basically into designing WordPress websites on Thesis and Genesis framework. These frameworks offer us a lot of flexibility to start with a blank canvas and build the designs from scratch. But it was enlightening to come across some great designs clubbed with easy to customize options offered by Elegant Themes. Though most other themes make these claims, what sets Elegant Themes apart is the fact that a a lot of attention to detail has gone into the front-end. What caught our attention with Elegant themes is the kind of user experience these designs offer. It’s not just the layout, graphics and design elements (stylish icons, beautiful images, patterns, textures, backgrounds, etc) alone. The beauty of these designs also lie in seamless CSS and JQuery effects which perfectly compliments each design. You can just sit and play around with the subtle yet pronounced effects like the menu-hover effects, slider transitions, etc. And the best part of investing in the theme memberships like the one offered by Elegant Themes (also offered by WooThemes) is that you get varied designs across multiple categories. So if you have to design a real estate website, all you need is to pick a theme designed to ease the task of showcasing and enlisting the listings and customize it your needs. For instance check out ElegantEstate theme offered by Elegant Themes. We like the Flexible theme for its awesome layout, Deep Focus for its subtle texture & responsive slider, SimplePress for its simplicity, Modest for its elegance, Lightbright & Notepad for personal diary feel that it gives, Personalpress for superb use of design elements, Bold Theme for its truly bold design, Pure Type for its color scheme and Trim for its refreshing look. It’s really difficult to pick up the best ones! Let’s dive into the details now. 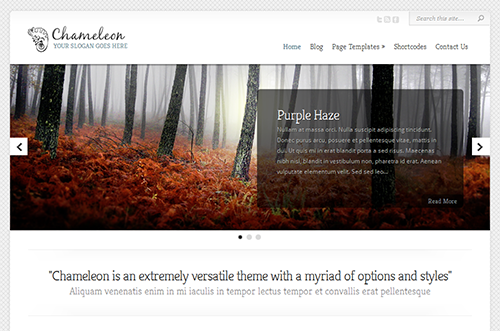 The Elegant Themes offer a multiplicity of options that make it fairly easy to customize and personalize the themes. 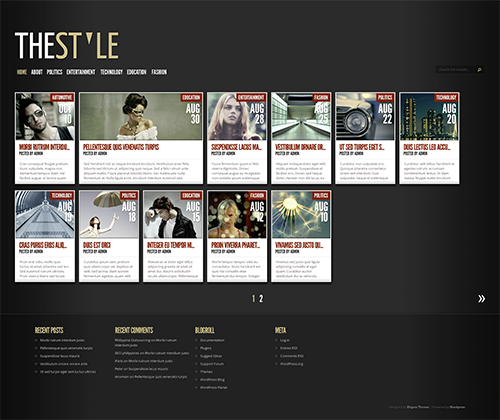 Each theme features a dedicated ePanel with a lot of options. These options range from basic settings like background-color, body fonts, etc to advanced options for making your site search engine friendly. General Settings: Here you can upload logo, favicons, background image, header image, set header fonts & body fonts, select the color scheme and so on. If your theme includes a featured slider, you can customize the slider through the general settings panel itself. Navigation: You can easily build the navigation menu from here. You no longer need to sift through WordPress menus. You can easily include and exclude the pages and categories to show in the nav menu through the navigation panel. Layout Settings: You can decide upon single page and post layouts here as a matter of few clicks. Ad Management: Some of the themes in the Elegant Themes marketplace also provide you the advertisement slots and this section provides you the space for adding adsense code & advertisement destination URL. Colorization: You can set text color & link colors in this section. 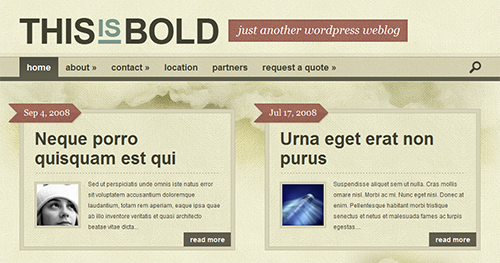 It also allows you to mention your own child stylesheet so as to override the default stylesheet used by the theme. SEO: Optimizing your site for search engines through various options in this section is like icing on the cake. Here you can add custom title, meta description and meta keywords for homepage, enable canonical urls for index page and implement single post page SEO through custom fields. Integration: Want to add Google analytics code? This section is like a blessing in disguise! You can directly hook various codes & scripts in head and body by specifying the specific code in specific input boxes. Support Docs: After a set of exhaustive options to play around with, you finally arrive at the place where all your queries can be resolved — Theme Documentation. You can go through the FAQs or lookup for the technical support from within the theme options itself. These customization features are in fact quite comprehensive and professional. You can also make some general settings from the front-end as well (for some themes only). That is, when you once login the WordPress admin and visit the site, you can instantly preview changes like background color, texture overlays and header & body fonts by playing around with the preview settings dialog displaying to the extreme left. The theme developers have put in all their effort to provide code-free development environment; but if you are one of those techie geeks, the good news it that each theme includes a custom_functions.php & style.css to add new functions and customizations respectively. However, you will have to be extra careful with this — customizing theme through custom_functions.php and style.css. How Much Does These Themes Cost? Let’s have a quick overview of how much the Elegant Themes cost you, here. The Elegant Themes marketplace offers two types of licenses. The first one is the personal license for which you have to pay $39 annually and the other one is the developer’s license which costs you $89 per year. With the developer license you get the PSDs along with the theme package and also the premium plugins developed by Elegant Themes (a maintenance mode plugin, a handheld mobile plugin, a page builder for dragging and dropping the elements on the page & powerful shortcodes for including stylish buttons, image sliders, tabs, etc). Getting such quality themes at this price is wonderful. While the newer themes are absolutely polished, there are a few themes which are not quite very impressive. There are other setbacks as well; like there is no standard way to approach the designs through code; we mean these themes do not allow the flexibility offered by the theme frameworks (the specific files for adding the customization code). One more thing, you cannot get a single theme, that is even if you have made up your mind to use one particular theme, you will have to invest in all the 75 themes. So, what are you waiting for? 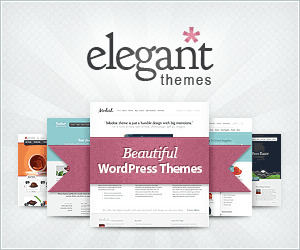 Get your copy of Elegant Themes here.